Raw or cooked carrots are a delicious addition to many dishes from salads, to main dishes, even in desserts. They are also a popular garnish. This is a guide about cooking with carrots. This is one of my kids' favorite potato dishes. I used to make this when they were babies, to get them to eat both potatoes and vegetables at the same time. I still make these because you can spice these up. What a great dish to compliment any roast or meal you are cooking! This recipe is easy, and with a food processor, it's super fast! Our grandkids love it. Grate carrots and put them in a covered saucepan with a little water and cover tightly. These are steamed baby carrots boiled in lemon juice, Splenda and butter. In 4 qt. saucepan over high heat, 2 inches water to boil. Add broccoli and carrots; return to boil. Cook 5-7 minutes. Pare carrots and halve or quarter. Place in buttered 1 quart casserole. Sprinkle with combined salt and pepper and dot with butter. These are delicious warm or served cold as a snack. The cheddar cheese and stuffing make this a great veggie dish! Melt butter in a 1 1/2 quart casserole on medium high power for 30 seconds. Stir in brown sugar and salt. Would you like another way to cook and serve carrots? Try carrot pudding. 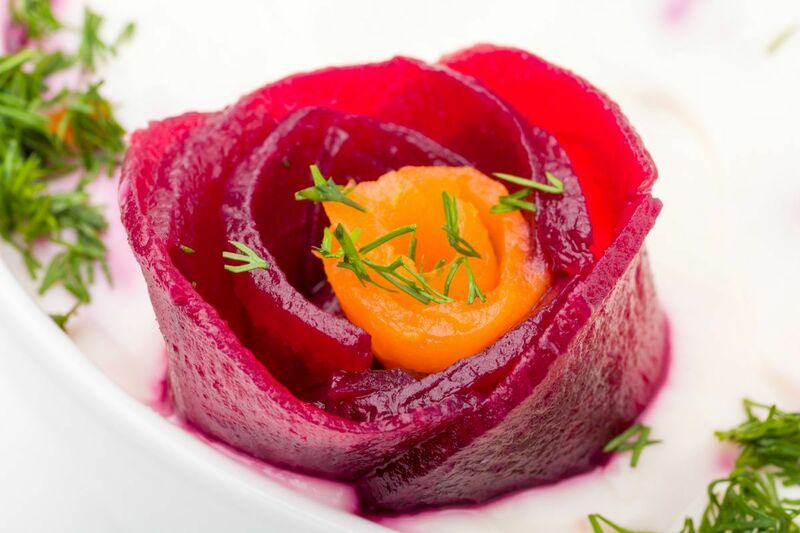 It is colorful and a creative spin on the carrot as a side dish. Combine and cook all ingredients, except carrots, until hot and blended. Pour sauce over carrots and serve. Wash, scrape and slice carrots. Par boil 20 minutes and drain, reserving liquid. Cut up bacon and onion, brown. Put in greased baking dish and bake 1 to 1 1/2 hours at 325 degrees, depending on how thin you slice carrots. These delicious carrots are a perfect side dish for your next meal. They are low in calories but full of flavor. Have an abundance of carrots? Here are some creative uses for them. Cut carrots into thin matchsticks and use to garnish soups. Puree leftover cooked carrots and use to thicken soups. Check out how to make this is a delicious dessert bread with this short video. What are some uses for leftover bags of carrots? You could try carrot cake, or cole slaw, carrot juice, glazed carrots, carrot and celery sticks, or add some to a baked chicken or roast. Peel, and using a food processor, grind down about two cups worth and add to a meatloaf recipe. The veggies will help keep the meatloaf very moist. I had a creamed carrot dish for Thanksgiving and it was delicious. You could blanche them and freeze them for future use. I love carrots with Rotel Cheese Dip. Rotel is a brand of tomatoes and green chilies found in a can. You chuck cut a half a block of Velveeta and add the can of Rotel then microwave melt it. Ready for dipping. Do you have a friend with an infant on solid foods? She/he can cook them up and mash them for baby food. A favorite of my granddaughters are deep fried carrots. Slice about 1/2 thick slant cuts, bread in tempura batter and deep fry until breading is golden brown. I also deep fry mushrooms, califlower and thick sliced green tomatoes. How about in a smoothie? Put a handful of carrots, a banana, and some kind of milk (cow's milk, almond milk, rice milk, etc.) in a blender and puree it. The carrots are pretty sweet, but you could add a little honey or stevia sweeten it up. Put some in a soup or salad for an excellent addition of flavor and nutrition. Partially cook the carrots then use them the same way you'd make sweet potato casserole. Cook and puree them and use the puree like you were making a pumpkin pie, use same spice and you'll never know the difference. 2-3 cups shredded cheese, heating through till cheese melted and blended in soup. Mix together and bring to boil. Pour over vegetables and marinate 6-8 hours. 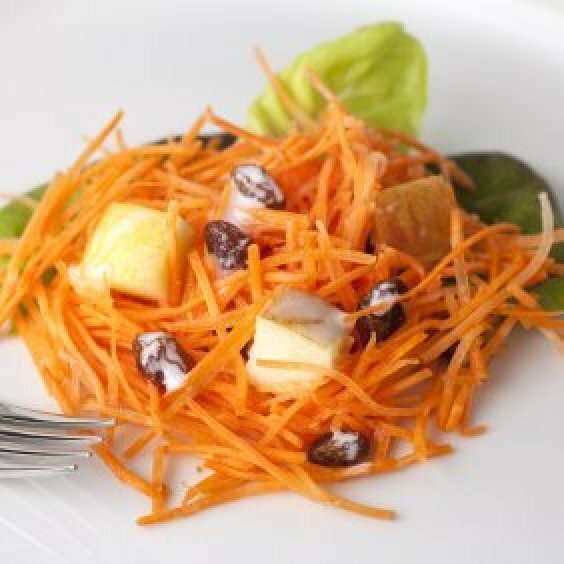 Carrot raisin slaw, if you have toddlers around, boil a bag of baby carrots, drain, cool, and keep in fridge, a healthy snack instead of candy, younguns don't chew raw carrots very well. I love just about any extra fresh veggies dipped in ranch dip as a snack or appetizer. Just get sour cream and a package of Good Seasons dry ranch dip mix. I just put the amount of sour cream I'll need in a small bowl and stir in the seasoning mix to taste. Whatever seasoning you don't use will stay good for a super long time at long as you fold up the top and clip it closed. 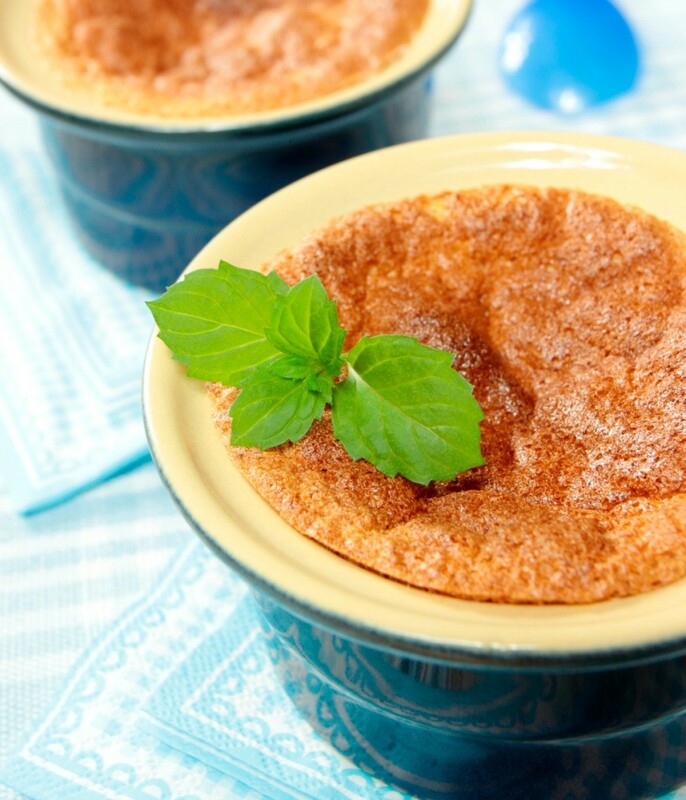 This page contains carrot souffle recipes. 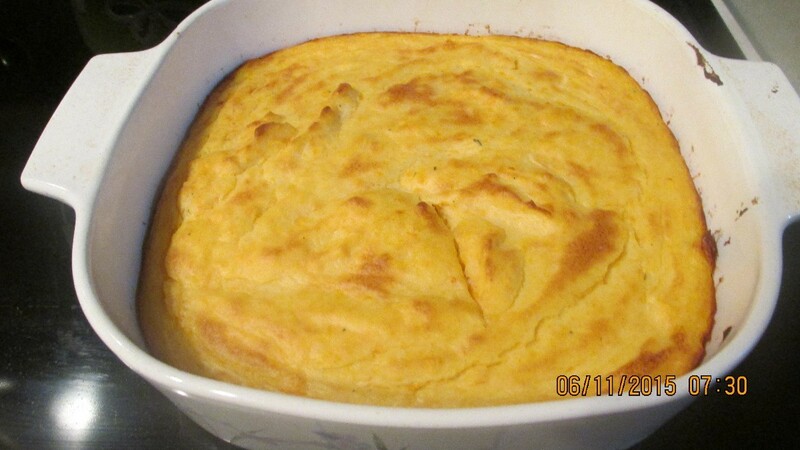 You can make a delicious sweet or savory souffle using fresh carrots. This page contains recipes using carrots. Carrots are a great source of beta carotene. They are a good side dish or tasty when added to a variety of recipes.